Have you been managing your employee’s data in an outdated fashion, like tracking spreadsheets or digging through a filing cabinet? UZIO is here to help you transition your HR operations onto a digital platform. We will significantly improve your access to information while decreasing your administrative workload. UZIO offers an unparalleled benefits management platform. The benefits dashboard gives you insights into the current benefit statuses, allowing drill to down each employee’s deductions and costs. Here is a sneak peek of UZIO portal exclusively for you. 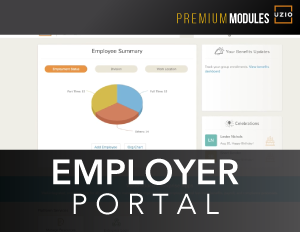 Manage your Benefits enrollment and employee data through our user-friendly portal.